"Bill, I don't know if you've seen it yet, but there's a story in the Wall Street Journal today that – I hope you're sitting down – is actually POSITIVE!" As you can tell by this photo of us, a) we go way back; b) he hasn't always had a silver mane; and c) I haven't aged a day (right???)! We met in the spring of my freshman year (his sophomore year) in 1986 when we were both hired to sell advertising in the Let's Go travel guides, which were written and published by Harvard students (those of you from my generation and older may remember backpacking through Europe with the "bible of the budget traveler," Let's Go: Europe). We spent the summer in a cramped 6x10 foot room in the basement of Thayer Hall, smiling and dialing potential advertisers, with great success. We both ended up selling more than all three reps the previous year, so made nearly $15,000 each (click here to read my 24-page final report, which I recently found in my parents' attic). For a brief moment, I thought I was rich... until I was dumb enough to tell my parents how much I'd made, at which point they promptly made me pay for the next year of my tuition. ARRRHHHH!!! I also remember being horrified the following April, when I had to pay taxes for the first time – thousands of dollars! I remember saying to my dad, "But I'm a student!" He explained to me that the IRS didn't care. DOUBLE ARRRHHHH!!! Bill and I came from very different backgrounds and we were two hyper-competitive guys placed into a hyper-competitive situation, so there was initially some friction, but eventually we became close friends and have remained so ever since, so I'm delighted to see him off to a strong start this year, following some very tough ones. I owe Bill a debt of gratitude for teaching me so much over the years about investing and running a fund. I still remember exactly what he said when I called him in 1996 to ask for advice about how to invest the $10,000 in my checking account – the first savings of my entire life (up to that point, I'd been paying off my student loans, first from Harvard, then HBS): "Go read all of Warren Buffett's annual letters and you can stop there," he said. "You don't need to read anything else." And thus began my journey as a value investor. Believe it or not, though I was nearly 30 years old and two years out of business school, I knew little about Buffett or investing. My parents were educators, having met and married in the Peace Corps, and neither they nor I had ever owned a stock. But they knew how to squeeze a dollar until it screamed, so the foundation of value investing – hunting for dollar bills trading for 50 cents – immediately resonated with me. Speaking of which, I think Bill's publicly traded entity, Pershing Square Holdings, which trades on both the London (PSH.L) and Euronext (PSH.AS) exchanges, is extremely undervalued today, trading at a 27% discount to its net asset value ("NAV"), so it's today's Stock Idea of the Day. 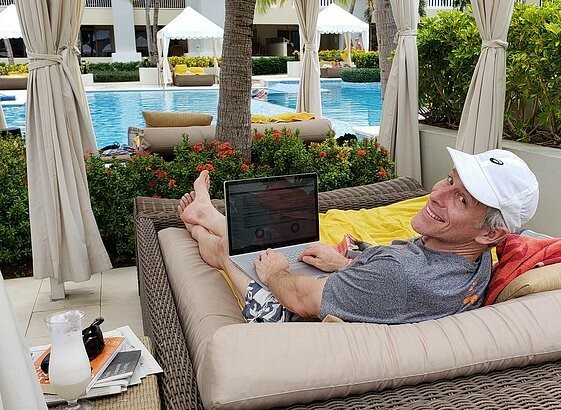 In effect, you can own Bill's portfolio at the price the stocks were at on January 1 – and have a call option on his future performance, which I think will be excellent because Bill is one of the best stock analysts I've ever seen – and I've seen a lot of them! I can already hear the catcalls: "But what about Valeant, Herbalife, Borders, Target, etc.???" Indeed, Bill has really stepped in it a few times in recent years. In fact, his ~$4 billion loss in Valeant may well be the biggest dollar loss in hedge-fund history. But I can tell you from (hard) personal experience that being humbled can make someone a much better investor. There's an old saying, "There are only two types of companies: those that are having problems and those that are going to have problems. Which would you rather invest in?" Well, the same is true for investors. Anyone who's ever counted Bill out has been proven wrong. He's the most resilient futhermucker I've ever met. Beginning this quarter, PSH will begin paying a dividend of 2.5% at current prices. 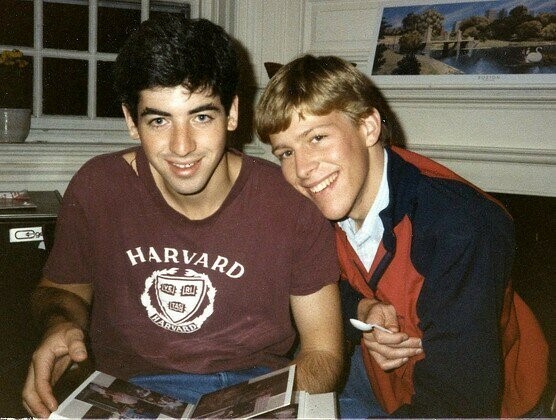 In summary, take it from someone who knows him better than just about anyone: betting on Bill Ackman's comeback is likely to pay off. Out of the 10 best emails I receive a week, 4-5 of them are from you. – David K.